Help us BELIEVE in our youth!! Investing in our youth is investing in your future! When you believe in youth, amazing things happen! The impact of your gift can be seen in the story of PMA graduate Elizabeth Wolf '14, From Foster to Fulbright. Please take a moment to see her journey and what the impact our school had on her despite difficult circumstances. At PMA, we serve an economically diverse population where 60% of the student body face financially challenging circumstances and are at risk of losing the opportunity to attain a Catholic education. Yet the lives of these kids are not very much different from Elizabeth Wolf. Your participation in the "Building a Legacy" annual fund can help us to reach our goals in raising enough funds to ensure that students who are at risk of dropping out of PMA, can continue to complete their Catholic college prep education through tuition scholarships and provide funding for program sustainability. Please take a moment to watch the video below and hear the testimonies of so many in our community who support the work we do every day and the impact your gift makes in the lives of students. This is your opportunity to make that difference in the lives of our students. 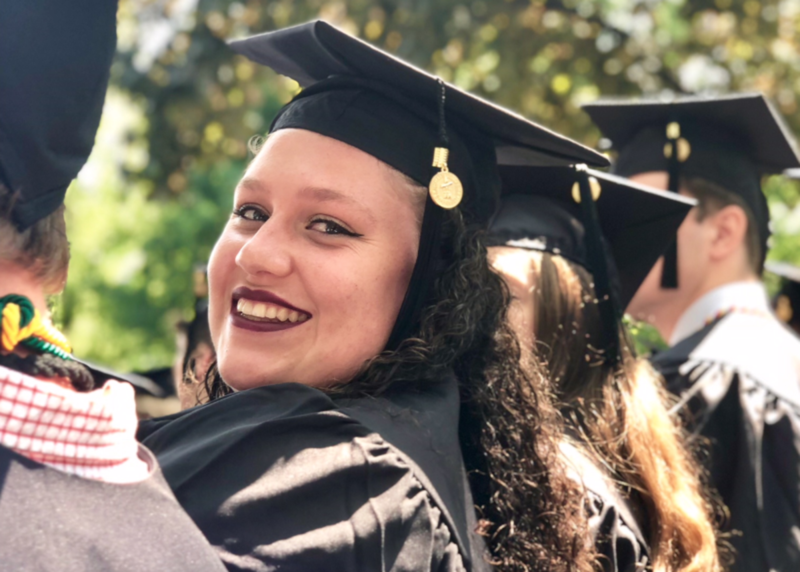 Your support will ensure that they receive the academic, spiritual and moral values to thrive in college, become role-models for future graduates and others, and pursue the service of God, country, and humanity towards the common good. These are the values that are the foundation of Catholic schools. Will you help us believe in our youth TODAY? Giving Back my Alma mater! It is a very good cause. I am donating to assist with the education of the students. I believe in our PMA Youth. Met my best friends in high school. Still close after sooooo many years. Catholic education must continue in this modern, caustic society. Pius X provide us an exceptional education & experience. Best wishes to PMA. To support the incoming freshman and returning students to PMA. Keep in contact with your fellow classmates for life.